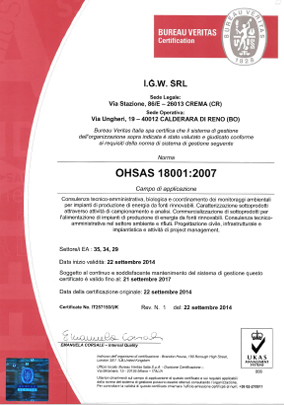 The Quality / Environment / Safety Management System was certified for the first time in 2014, and renewed (with the adoption of the new version of Quality and Environment) in 2017. Consultancy in the construction and infrastructure sector. Today, our main activity is the valorization of by-products of the agricultural and food industry, through which IGW tries to promote a culture of renewable energy, showing the world its potential to improve life, increase economic growth and accelerate the transition toward a world with low-carbon emissions. I.G.W. (Innovative Green World) S.R.L. holds as its strategic objective client satisfaction, respect for the environment and the health and safety of workers, to be achieved through continuous improvement of the services provided and the assessment of new client needs in relation to technological and production developments. 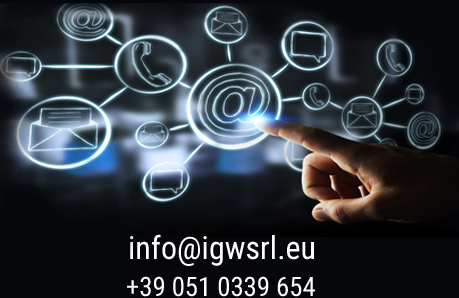 This improvement can be achieved through constant attention to the development of the expectations of the stakeholders that are part of the IGW S.R.L. context and awareness of the risks and opportunities that can derive from them, and the search for innovative solutions. Comply with the legislative and regulatory framework concerning the production of energy from renewable sources, environment and health and safety. Continuously update plants and processes to the safest, most modern and effective technologies aimed at preventing and reducing the environmental impact and risks at the workplace, compatibly with financial availability and comparability on the market. 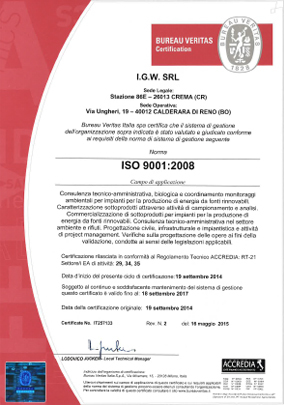 Comply with the established quality standards. Adopt simple and accessible complaint procedures for the timely resolution of client complaints, the periodic analysis of reported non-conformities and the adoption of measures to prevent their recurrence. Improve the technical-environmental consulting service through the sharing and training of qualified personnel. Do not carry out project verifications in the case where situations exist that may conflict with the need for independence and impartiality of the activity subject to verification. Prove, in relation to the design of the single intervention to be checked, that you are not in situations of incompatibility and that you did not have in the last three years professional and commercial relationships with the players involved. At the time of granting the assignments, the parties undertake not to have any professional or commercial relationships with the parties involved in the project being audited for the subsequent two years effective from the agreement termination. Correct implementation of Article 184/bis of ex Legislative Decree 152/06 and Decree 264/2016 in the classification of by-products, also with the help of legal opinions. 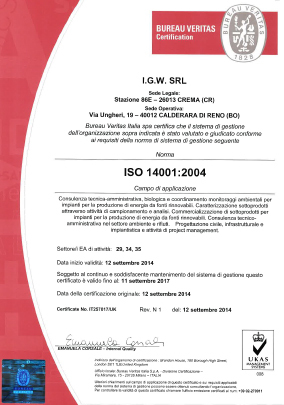 The achievement of the 2017 objectives was monitored through the risk analysis scheme; for further information and details, please contact Ilaria Stretti (+39 344 029 6300 – ilaria.stretti@igwsrl.eu).